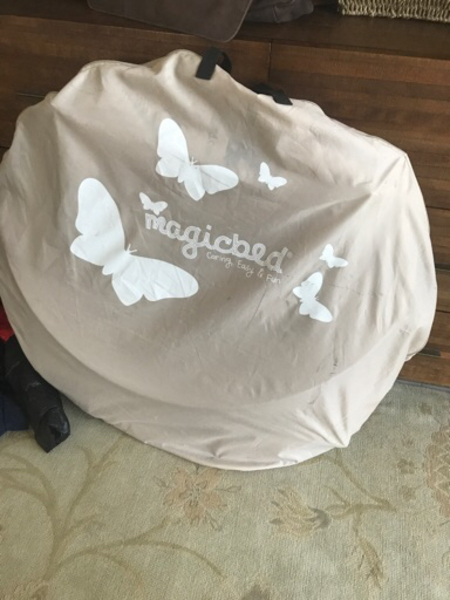 Magicbed - Pop up travel cot. 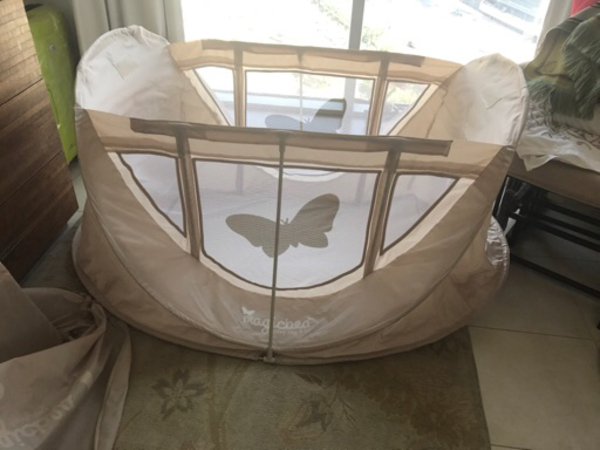 Beige Travel Cot for children ages 0 months - 1 year. It opens in a few seconds using a instant pop- up system. Weighs 1.7 Kg when folded. Perfect for traveling with toddlers.